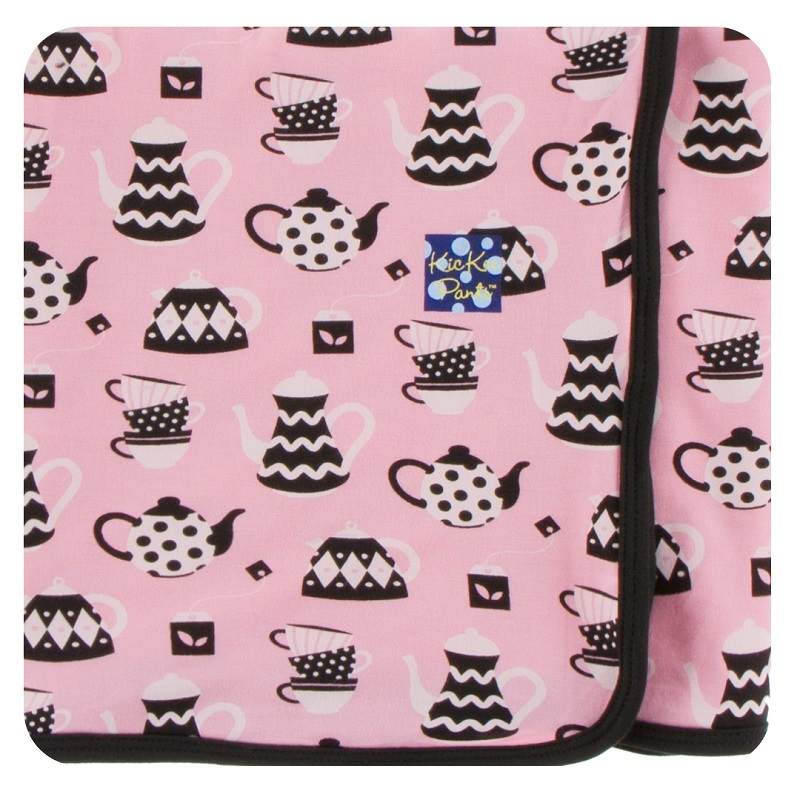 This Teatime swaddle is perfect for layering or used alone. 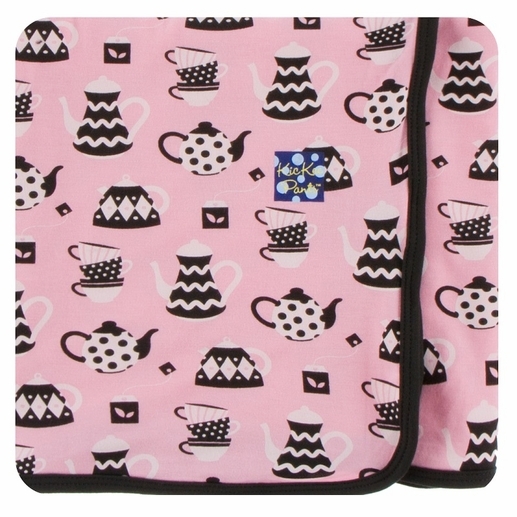 Use as a swaddle or regular blanket and each one makes a great baby shower gift. Bamboo is perfect for children with sensitive skin and allergies. 95% bamboo, 5% spandex by Kickee Pants. Bamboo,an eco-friendly, sustainable crop that grows wild without the aid of fertilizers or pesticides, is naturally antibacterial, antifungal and antistatic. Bamboo wicks water from the body 3-4 times better than cotton, keeping skin comfortable in summer weather. And, it stays 2-3 degrees cooler in hot weather & warmer in cold.